Onyx – Why Learn PowerCLI ? 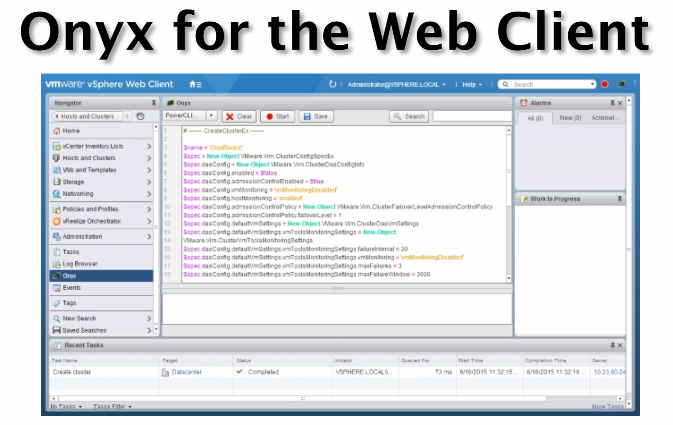 The PowerCLI Team yesterday published with the Onyx Project a great tool with lots of potential. The blogging community received Carter’s announcement enthousiastically (see for example The Onyx has landed). As a casual PowerCLI user you might think, the product has a strange name but it is the answer to all my scripting and automation needs. Why should I bother learning all these PowerCLI cmdlets while this tools produces working code. But think again !